EPUB (short for electronic publication) is a free and open e-book standard by the International Digital Publishing Forum (IDPF). Files have the extension .epub. EPUB is designed for reflowable content, meaning that an EPUB reader can optimize text for a particular display device. EPUB also supports fixed-layout content. The format is intended as a single format that publishers and conversion houses can use in-house, as well as for distribution and sale. It supersedes the Open eBook standard. EPUB became an official standard of the IDPF in September 2007, superseding the older Open eBook standard. In August 2009, the IDPF announced that they would begin work on maintenance tasks of the EPUB standard. Two broad objectives were defined by this working group: "One set of activities governs maintenance of the current EPUB Standards (i.e. OCF, OPF, and OPS), while another set of activities addresses the need to keep the Standards current and up-to-date." The working group expected to be active through 2010, publishing updated standards throughout its lifetime. On April 6, 2010, it was announced that this working group would complete their update in April 2010. The result was to be a minor revision to EPUB 2.0.1 that "...corrects errors and inconsistencies and does not change functionality." On July 2, 2010, drafts of the version 2.0.1 standards appeared on the IDPF website. On April 6, 2010, it was announced that a working group would form to revise the EPUB specification. In the working group's charter draft, 14 main problems with EPUB are identified, which the group will address. The group was chartered through May 2011, and was scheduled to submit a final draft on May 15, 2011. An initial Editors Draft for EPUB3 was published on November 12, 2010, and the first public draft was published on February 15, 2011. On May 23, 2011, the IDPF released its proposed specification for final review. On October 10, 2011, the IDPF announced that its membership had approved EPUB 3 as a final Recommended Specification. In September 2012, ISO/IEC JTC1/SC34 re-established Ad Hoc Group 4 on EPUB of IDPF to prepare the creation of a Joint Working Group (JWG) for EPUB. EPUB 3 will be submitted as a Draft Technical Specification by the Korean National Body via the JTC 1 fast-track procedure and it will be assigned to the SC 34/JWG when approved. In November 2014, EPUB3 was publised under the formal name ISO/IEC TS 30135 - Information technology - Digital publishing - EPUB3. Support for Audio and Video content (dependent on device support). The EPUB 3.0 Recommended Specification was approved on 11 October 2011. (On June 26, 2014 EPUB 3.0.1 was approved as a minor maintenance update to EPUB 3.0.) EPUB 3.0 supersedes the previous release 2.0.1 of EPUB. Detailed descriptions of the differences between 3.0 and 2.0.1 can be found on the IDPF website. While good for text-centric books, EPUB may be unsuitable for publications that require precise layout or specialized formatting, such as comic books. Also, it has been criticized for trying to solve an already solved problem instead of fixing unsolved problems. A major issue hindering the use of EPUB for most technical publications is the lack of support for equations formatted as MathML. They are currently included as bitmap or SVG images, precluding proper handling by screen readers and interaction with computer algebra systems. Support for MathML is included in the EPUB 3.0 specification. Other criticisms of EPUB are the specification's lack of detail on linking into, between, or within an EPUB book, and its lack of a specification for annotation. Such linking is hindered by the use of a ZIP file as the container for EPUB. Furthermore, it is unclear if it would be better to link by using EPUB's internal structural markup (the OPF specification mentioned above) or directly to files through the ZIP's file structure. The lack of a standardized way to annotate EPUB books could lead to difficulty sharing and transferring annotations and therefore limit the use scenarios of EPUB, particularly in educational settings, because it cannot provide a level of interactivity comparable to the web. An EPUB file uses XHTML 1.1 (or DTBook) to construct the content of a book as of version 2.0.1. This is different from previous versions (OEBPS 1.2 and earlier), which used a subset of XHTML. There are, however, a few restrictions on certain elements. The mimetype for XHTML documents in EPUB is application/xhtml+xml. For a table of the required XHTML modules and a description of the restrictions, see Section 2.2 of the specification. Styling and layout are performed using a subset of CSS 2.0, referred to as OPS Style Sheets. This specialized syntax requires that reading systems support for only a portion of CSS properties and adds a few custom properties. Custom properties include oeb-page-head, oeb-page-foot, and oeb-column-number. Font-embedding can be accomplished using the @font-face property, as well as including the font file in the OPF's manifest (see below). The mimetype for CSS documents in EPUB is text/css. For a table of supported properties and detailed information, see Section 3.0 of the specification. The OPF file, traditionally named content.opf, houses the EPUB book's metadata, file manifest, and linear reading order. This file has a root element package and four child elements: metadata, manifest, spine, and guide. All of these except guide are required. Furthermore, the package node must have the unique-identifier attribute. The .opf file's mimetype is application/oebps-package+xml. The metadata element contains all the metadata information for a particular EPUB file. Three metadata tags are required (though many more are available): title, language, and identifier. title contains the title of the book, language contains the language of the book's contents in RFC 3066 format or its successors, such as the newer RFC 4646 and identifier contains a unique identifier for the book, such as its ISBN or a URL. The identifier's id attribute should equal the unique-identifier attribute from the package element. For a full listing of EPUB metadata, see Section 2.2 of the specification. The guide element is an optional element for the purpose of identifying fundamental structural components of the book. Each reference element has the attributes type, title, href. Files referenced in href must be listed in the manifest, and are allowed to have an element identifier (e.g. #figures in the example). A list of possible values for type can be found in Section 2.6 of the specification. A description of certain exceptions to the NCX specification as used in EPUB can be found in Section 2.4.1 of the specification. The complete specification for NCX can be found in Section 8 of the Specifications for the Digital Talking Book. When present, DRMed EPUB files must contain a file called rights.xml within the META-INF directory at the root level of the ZIP container. An open source tool called epubcheck exists for validating and detecting errors in the structural markup (OPS, OPF, OCF) as well as the XHTML and image files. The tool can be run from the command line, or used in webapps and applications as a library. A large part of the original work on the tool was done at Adobe Systems. Adobe Digital Editions Proprietary Windows, Mac OS X Adobe Content Server Requires online activation for ePub files with DRM. Sumatra PDF GPL Windows Adobe Content Server Supports ePub for Windows devices. AZARDI Proprietary Windows, Mac OS X, GNU/Linux, Android, iOS Package Obfuscation Supports ePub 3, ePub 2. Fixed Layout, SMIL, DRM, Online and Mobile versions are available when used with AZARDI:Content Fulfilment Server. No longer maintained. Bluefire Reader Proprietary iOS, Android Adobe Content Server Supports ePub for Android and iOS devices. calibre GPL Windows, Mac OS X, GNU/Linux None Primarily for library management, conversion, and transferring to devices, it includes a reader. "Calibre: About". Google Play Books Proprietary Web application, Android, iOS Lektz DRM Supports downloading purchased books as ePub and/or PDF. iBooks Proprietary Mac OS X, iOS FairPlay Supports EPUB 2 and EPUB 3. Books not readable directly on computers other than Macs. Lexcycle Stanza Proprietary Windows, Mac OS X, iOS ? Acquired by Amazon in 2009. Lucifox GPL Windows, Mac OS X, GNU/Linux None Ebook reader add-on with annotations for Firefox. Supports open standard ebooks in EPUB 3- and EPUB 2 format and retrieval of books from OPDS book catalogues. Mobipocket Proprietary Windows, BlackBerry, Symbian, Windows Mobile None Converts EPUB into .PRC on import. Okular GPL Windows, Mac OS X, GNU/Linux ? Snapplify Proprietary All Web Browsers, iOS, Android Adobe Content Server Snapplify SnappSafe DRM Supports downloading purchased books as ePub and/or PDF. Supports PDF, ePUB2 and ePUB3 standard of ebooks. 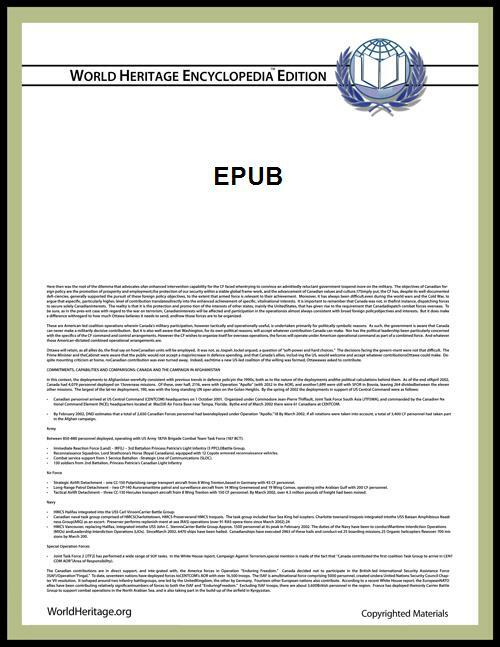 See also the WorldHeritage category for articles about EPUB readers. ABBYY FineReader Windows Commercial Version 11 exports to EPUB format. Adobe InDesign Windows, Mac OS X Commercial Exports to EPUB format. Versions prior to 5.5 create EPUBs that require significant editing to pass ePubCheck or ePubPreFlight. As from InDesign CC 2014, InDesign can export in ePub3 fixed-layout format. Aquafadas Digital Publishing System Windows, Mac OS X Commercial Exports to epub3 Fixed Layout format since version 2.0. The publishing system proposes a rich toolset of enrichments for the InDesign documents. The following subset is preserved during the epub3 export : videos, slideshows, sounds, xhtml snippets, links, actions. The generated epub preserves the layout and styles by embedding the appropriate fonts. It does not require any manual editing to pass the epubcheck test. BlueGriffon EPUB Edition Windows, Mac OS X, GNU/Linux Commercial Wysiwyg editor. Creates, opens, edits and saves natively EPUB2 and EPUB3 (dated October 2012, only application doing it) formats; does not rely on a proprietary pivot format. Offers full UI-based control on all EPUB2 and EPUB3 metadata. Automatically generates guide and NCX in EPUB3 for compatibility with EPUB2. Includes a complete CSS editor, a SVG editor and a MathML editor. Full support for HTML 5, including video and audio tags, and CSS3. calibre Windows, Mac OS X, FreeBSD, GNU/Linux GPL Conversion software and e-book organizer. Allows plugins, including for editing EPUB files; there is for instance a plugin to merge several EPUB files into one. eLML Windows, Mac OS X, FreeBSD, GNU/Linux Unknown The eLesson Markup Language is a platform-independent XML-based open source framework to create eLearning content. It supports various output formats like SCORM, HTML, PDF and also eBooks based on the ePub format. Help & Manual Windows Commercial Single source publishing tool that generates ePUB amongst several other documentation formats. iBooks Author Mac OS X Unknown Desktop publishing and page layout application. Free from Apple. Can export .ibooks format, which is a proprietary format based on EPUB. There are restrictions on the commercial distribution of works created with iBooks in the .ibooks format. These restrictions apply to the .ibooks format only and it can be argued that a file renamed to .epub is not distributed in the .ibooks format. IGP:Digital Publisher Web Commercial Portal Cloud Service or licence application for digital content publishing to all formats. Generates ePub 2 and ePub 3 fixed and flow layout plus other formats. iStudio Publisher Mac OS X Commercial Desktop publishing and page layout application. Madcap Flare Windows Commercial Single source publishing tool that can export content as ePUB. oXygen XML Editor Mac OS X, Windows, FreeBSD, Linux Commercial oXygen XML Editor is the first tool that supports creating, transforming, and validating the documents that comprise the EPUB package. Pages Mac OS X Unknown Word processor (part of the iWork '09 suite) that can export to EPUB format (Pages '09 only, and only with the iWork 9.0.4 update). Playwrite Mac OS X Commercial Native EPUB-based word processor. Native to EPUB 3 with EPUB 2 compatibility. QuarkXPress Mac OS X, Windows Commercial Desktop Publishing Tool, Page Layout Application. Exports also to the ePUB format. Serif PagePlus Windows Commercial Desktop Publishing Program that can export to the EPUB 2 and EPUB 3 format. Comes with built-in output conversion profiles for targeting specific devices, as well as generic devices. Also includes pre-tested blank eBook templates, or can open and edit existing PDF files and publish as EPUB. Scrivener Windows, Mac OS X Commercial Program for writers. Includes organization capabilities for fiction writers. Publishes to multiple formats. ^ "Specifications". IDPF. Retrieved January 25, 2012. ^ a b c eBook Technologies, Inc. "EPUB 101". Retrieved 10 July 2014. ^ IDPF (Oct 15, 2007). "OPS 2.0 Elevated to Official IDPF Standard". IDPF. ^ "IDPF Launches EPUB Standards Maintenance Work". IDPF. August 16, 2009. ^ "Charter for EPUB Standards Maintenance WG". IDPF. August 12, 2009. ^ a b "Draft Charter for revision to EPUB Standard for IDPF Comment". IDPF. April 6, 2010. ^ "EPUB 2.1 Working Group Charter – DRAFT 0.11". IDPF. May 7, 2010. Retrieved June 6, 2010. ^ "EPUB3 Working Group". IDPF. November 12, 2010. ^ IDPF. "EPUB 3". Retrieved 21 February 2011. ^ "EPUB 3". IDPF. Retrieved 8 Dec 2012. ^ Resolutions of the ISO/IEC JTC 1/SC 34 Plenary Meeting, Brasilia, Brazil, 2012-06-25, 29, retrieved 2012-10-21, Resolution 8: Re-establishment of Ad Hoc Group 4 on EPUB. SC 34 re-establishes Ad Hoc Group 4 on EPUB of IDPF* with the following terms of reference: – to prepare the creation of a Joint Working Group (JWG) for EPUB (and possibly other related topics) under JTC 1/SC 34 with ISO TC 46 and IEC TC 100 /TA 10 involved. SC 34 notes that EPUB 3 will be submitted as a Draft Technical Specification by the Korean National Body via the JTC 1 fast-track procedure and it will be assigned to the SC 34/JWG when approved. ^ EPUB 3 Working Group (11 October 2011). "EPUB 3 Overview Draft". IDPF. Retrieved 11 October 2011. ^ Rothman, David (July 27, 2008). "The ePub torture test: Starring ‘Three Shadows,’ a graphic novel". TeleRead: Bring the E-Books Home. ^ Rothman, David (November 5, 2007). Social annotation and the marketplace of ideas': Time for an IDPF annotation standard for books and other e-pubs!"'". TeleRead: Bring the E-Books Home. ^ EPUB 3.0.1 Changes. IDPF. Retrieved on July 8, 2014. ^ "1.1 EPUB Revision History". IDPF. IDPF. 11 October 2011. ^ a b c d e f IDPF (September 4, 2010). "Open Publication Structure (OPS) 2.0.1 – Recommended Specification". IDPF. Retrieved February 21, 2011. ^ a b c d e f g h IDPF (September 4, 2010). "Open Packaging Format (OPF) 2.0.1 – Recommended Specification". IDPF. Retrieved February 21, 2011. ^ a b c d e IDPF (September 4, 2010). "Open Container Format (OCF) 2.0.1 – Recommended Specification". IDPF. Retrieved February 21, 2011. ^ a b "Specifications for the Digital Talking Book". April 21, 2005. ^ IDPF (November 20, 2006). "IDPF's Digital Book Standards FAQs". IDPF. ^ Gelles, David (January 29, 2010). "Walls close in on e-book garden". Financial Times. ^ Rothman, David (August 13, 2009). "Adobe-DRMed ePub isn’t ‘open’: Why the New York Times urgently needs to clarify its Sony eBook Store article". 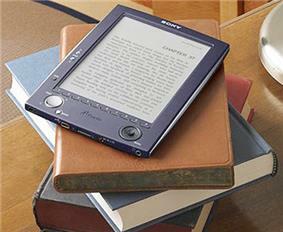 TeleRead: Bring the E-Books Home. ^ Kendrick, James (January 28, 2010). "Who Really Needs an iPad?". jkOnTheRun. ^ Dave Dickson (January 27, 2010). "EPUB, iPad and Content Interoperability". Digital Editions. ^ "epubcheck: Validation tool for Epub". Google Code. Retrieved January 29, 2010. ^ "PDFreaders.org: Removal of SumatraPDF due to inclusion of non-free code". blogs.fsfe.org. Retrieved 2014-06-11. ^ Pham, Alex (February 15, 2010). "Apple to wrap digital books in FairPlay copy protection". Los Angeles Times. ^ Apple (March 23, 2012). "Apple iBooks Author FAQ". Apple. Retrieved April 26, 2012. EPUB 3 Home page Includes links to EPUB Working Group project site and issue tracker. EPUB 2 Maintenance Wiki/Home Page Archive for the maintenance discussions and issue tracking for EPUB development that led to EPUB 2.0.1 approved in 2010 and EPUB 3 in October 2011.